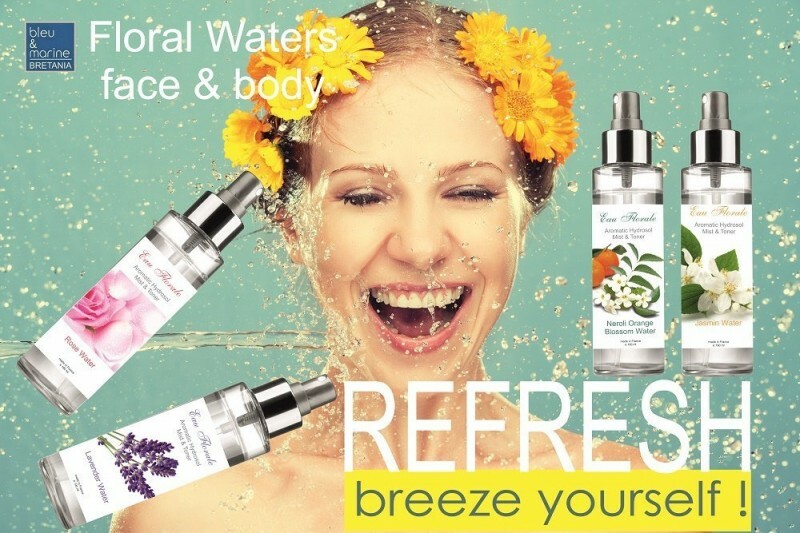 Hydrolats (also known as Hydrosols, Floral or Flower Waters) are the waters collected when plants are steam-distilled to extract their essential oils. Their therapeutic properties are similar to the essential oils from which they are derived, as the distilled water contains small amounts of essential oil. They also contain many other water soluble elements from the plant, which have additional therapeutic properties that are not present in the essential oil itself. • Hydrolats are ideal for naturally therapeutic skincare. • They can be used for gentle, cleansing and toning and can easily be blended with creams, lotions, aloe vera gels and clays to make your own bespoke skincare treatment. • They are particularly effective for treating skin conditions where a non-oily product is required. • They can also be used as an alternative to essential oils when a more gentle form of aromatherapy is indicated i.e. for children, the very elderly or for the sick. • They make great toners and cleansers. • They are also used for the treatment of spots, sores, cuts, grazes and new piercings. • They are an excellent Linen spray, and a simple way for the novice aromatherapist to enjoy the therapeutic benefits of essential oils. • They can be added to a soothing hot bath. 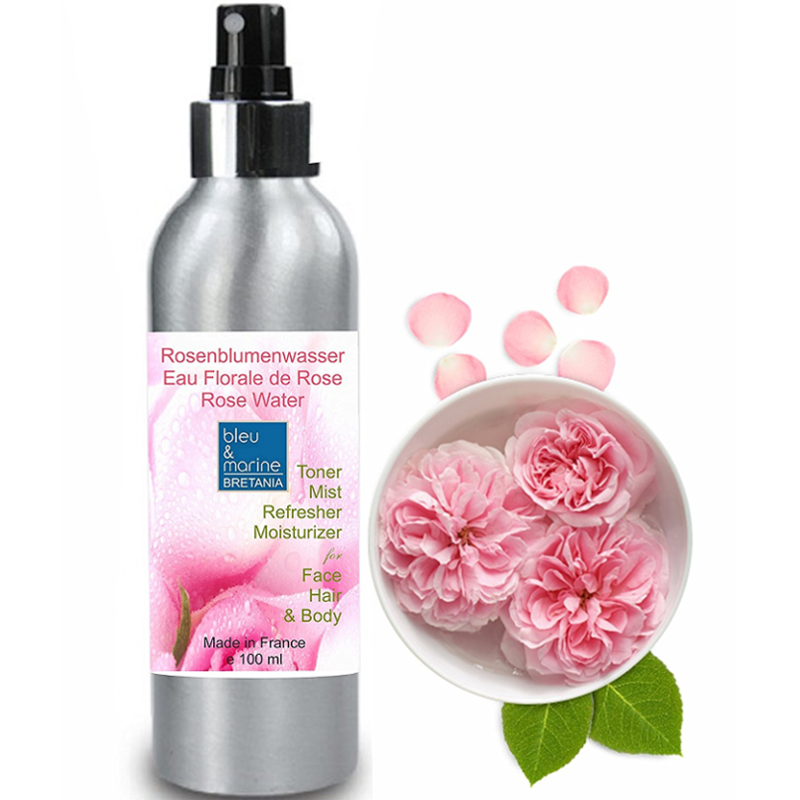 • Rose Water has been used for therapeutic beauty rituals since ancient times. It has an exquisite fragrance which is renowned for its relaxing, calming, uplifting effects. 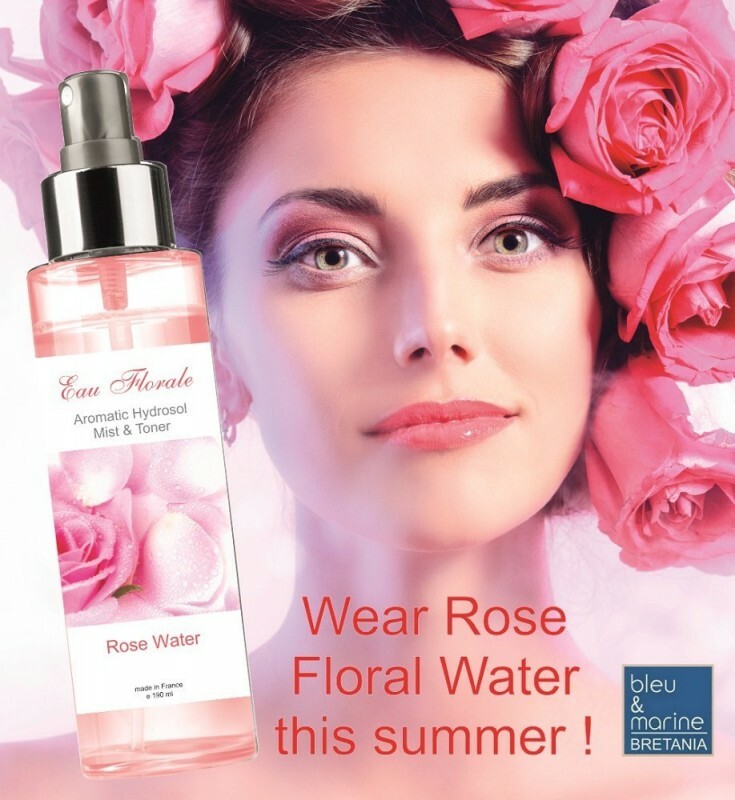 • Rose Water has a toning, nourishing, hydrating and soothing effect on the skin and can help to stimulate the skin's regeneration process. It is suitable for all skin types but is particularly beneficial for dry, sensitive, damaged, irritated or mature skin. It is also useful for soothing any allergic skin reactions. • Rose Hydrolat is excellent for cleansing and toning and it can be blended with other creams, lotions, clays and cosmetic bases to produce a wide range of skincare treatments. • Rose Water has a mild sedative and anti-depressant effect and can be helpful in calming the nerves and reducing anxiety. It also has a balancing effect on the hormones and can be helpful during the menopause. • ALL-NATURAL Free of chemicals, preservatives or artificial fragrances such as perfume. Treating your skin with pure Rose Water means you will see all of the benefits without having to worry about any skin irritation. 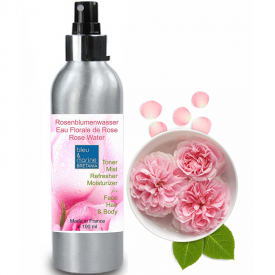 • MULTIPURPOSE TREATMENT - This Rose Water can be used as a makeup remover, in aromatherapy and as a hair treatment. • ALL SKIN TYPES - For make-up remover, moisturizing, cleansing and toning skin, refresh air, soft perfuming hair. • S.O.S SUNBURN - Rose Water has a soothing effect and is perfect for calming and relieving sunburn for face and body. Pure Rosa Damascena distilled in Bulgaria. 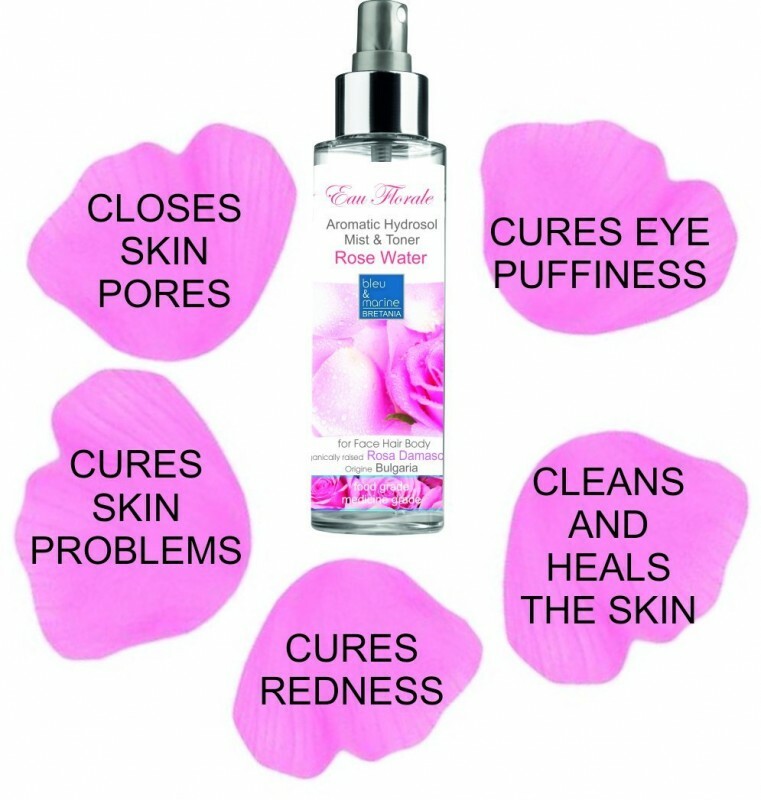 Rose Hydrolat can be used for cleansing and toning and even be blended with other creams, lotions, clays and cosmetic bases to make even more natural beauty and skincare treatments. It has a mild sedative and anti-depressant effect and can be helpful in calming the nerves and reducing anxiety. It also has a balancing effect on the hormones and can be helpful during the menopause. They suggest adding 5 mls of this Rose Hydrolat to make a relaxing bath . 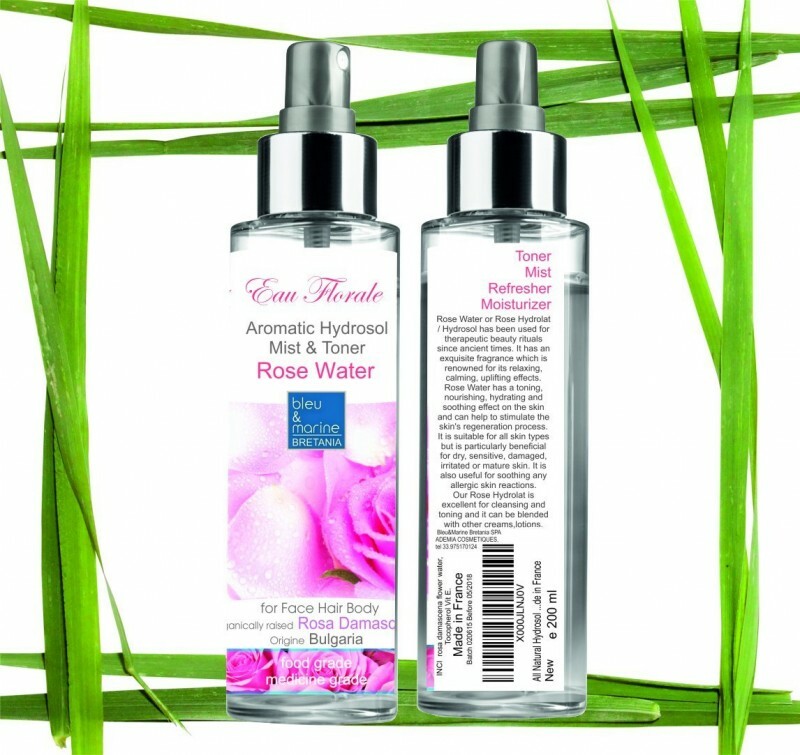 * Rose Water or Rose Hydrosol is a great therapeutic beauty product. * Great natural scent known for its relaxing, calming, uplifting effects. 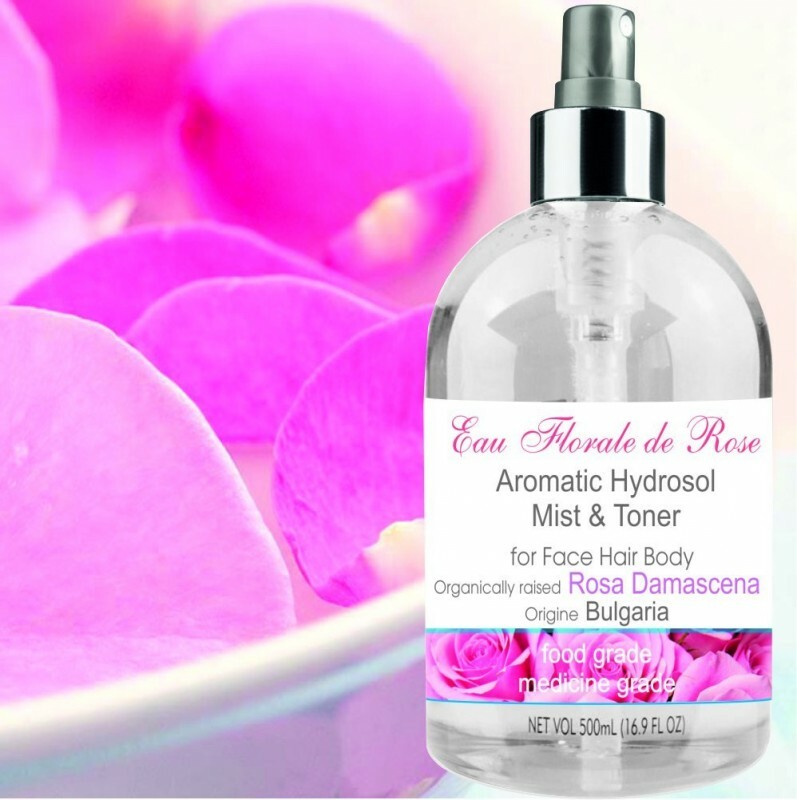 * Rose Water is toning, nourishing, hydrating and soothing on the skin. * Suitable for all skin types but is particularly beneficial for dry, sensitive, damaged, irritated or mature skin. * Helps soothe any allergic skin reactions. "Rose Hydrolat can be used for cleansing and toning and even be blended with other creams, lotions, clays and cosmetic bases to make..."